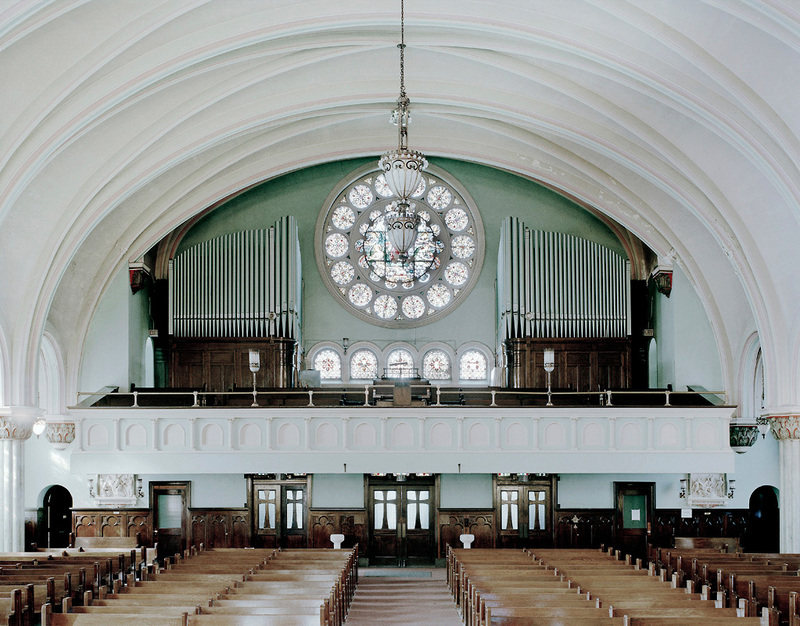 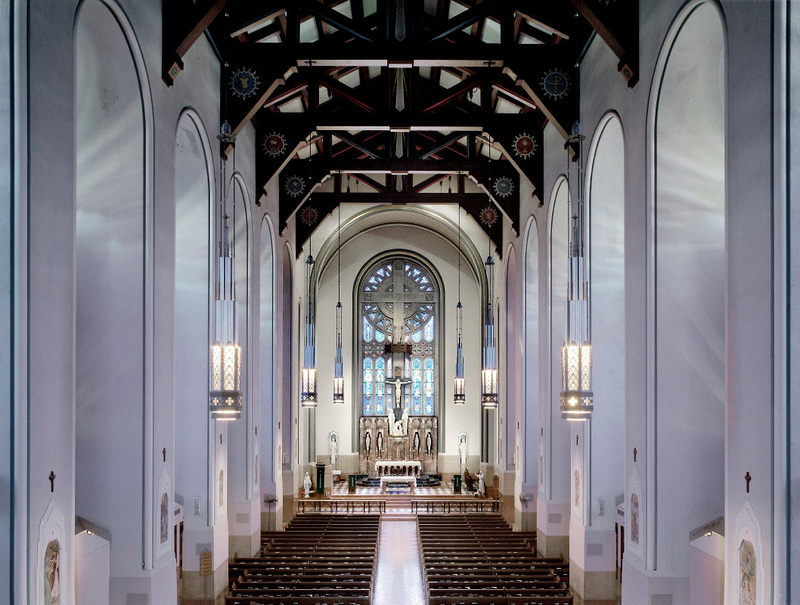 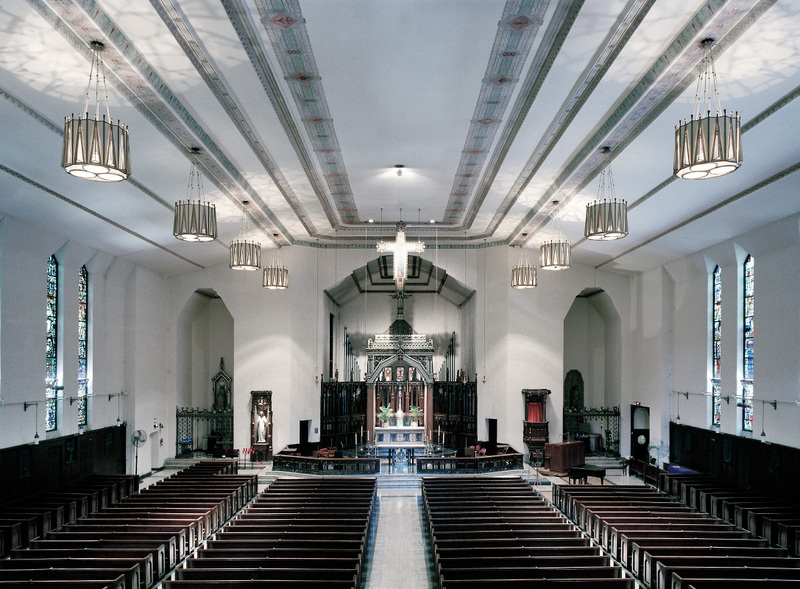 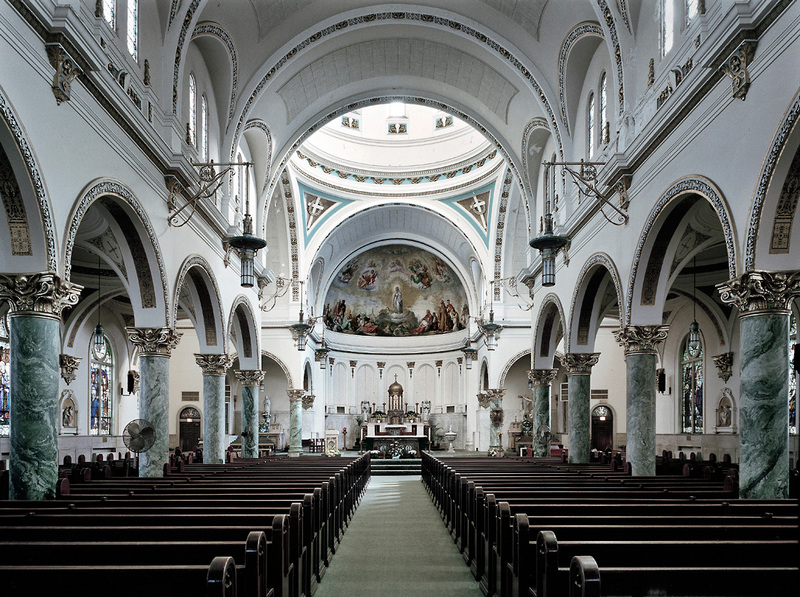 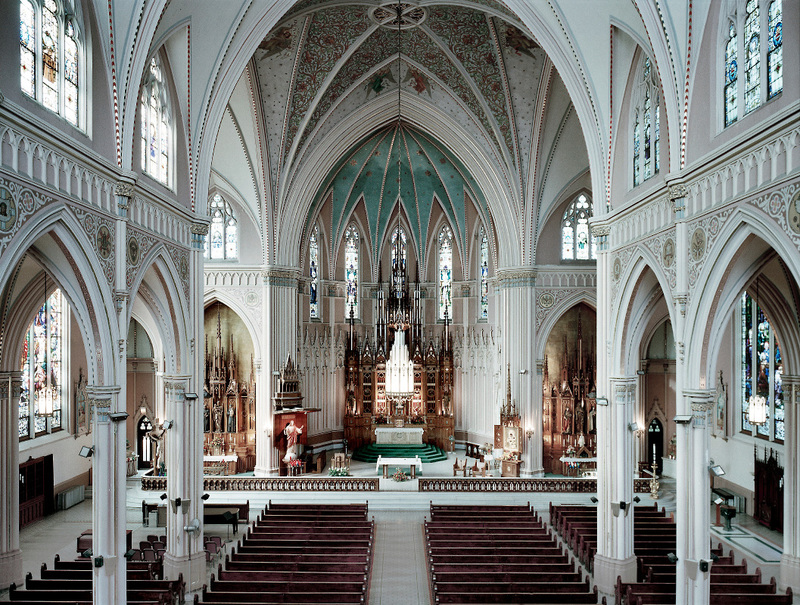 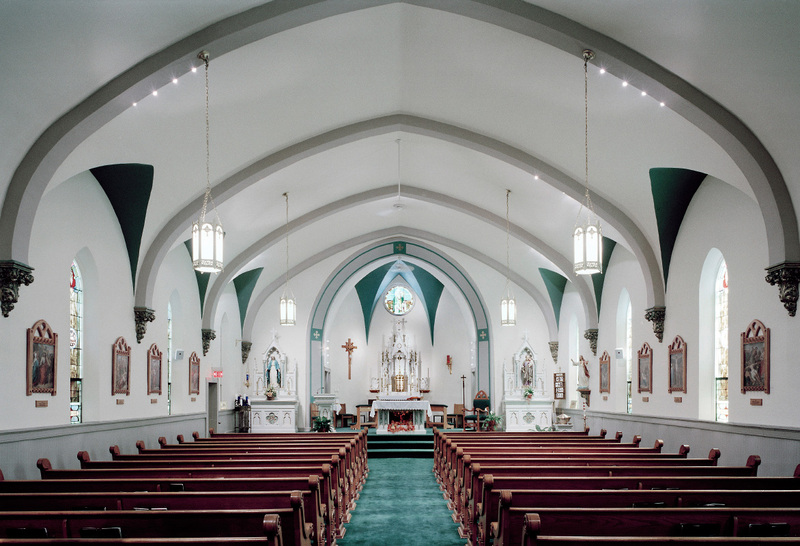 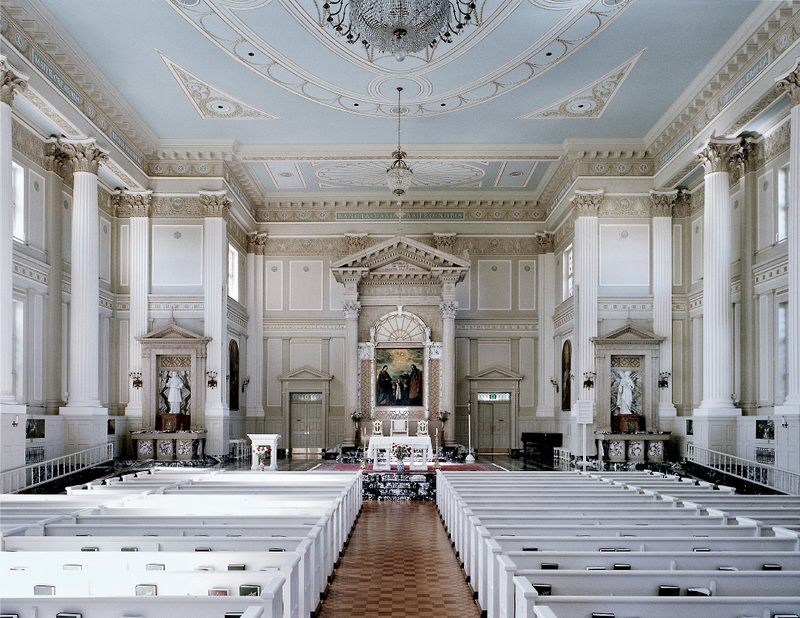 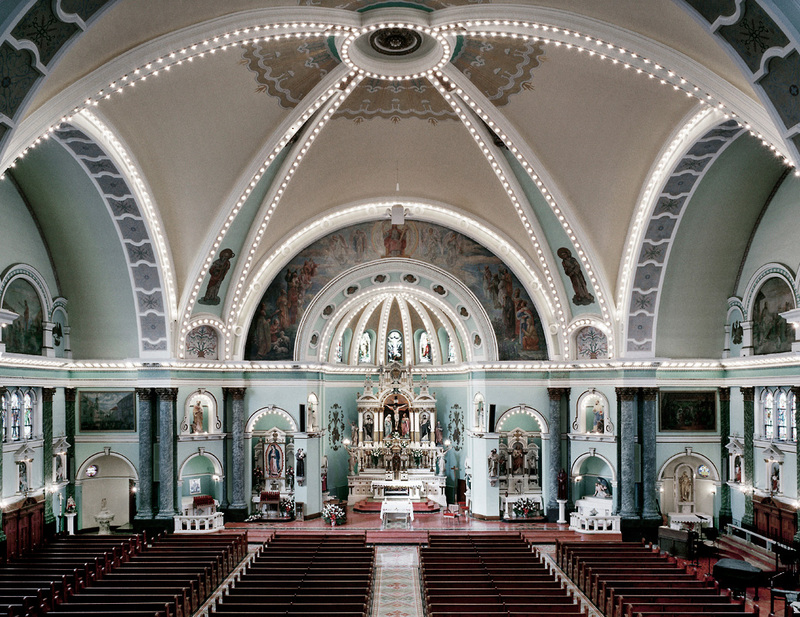 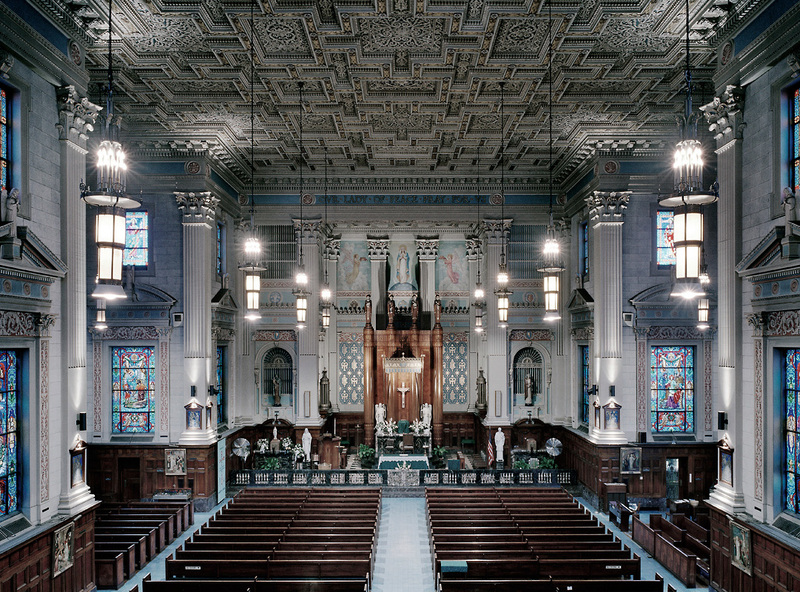 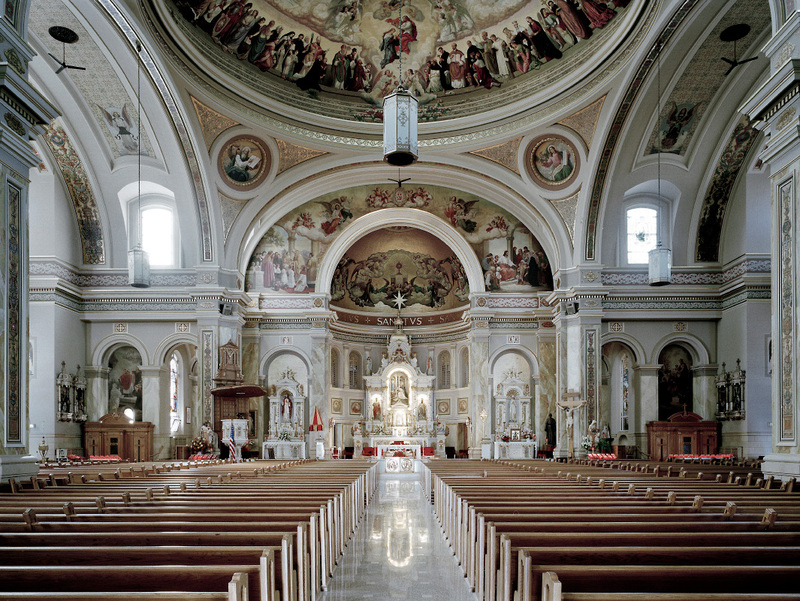 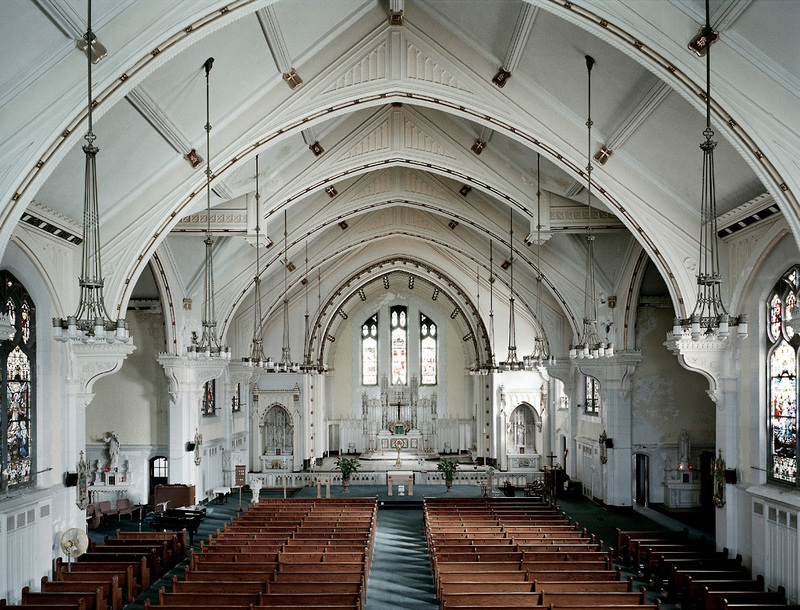 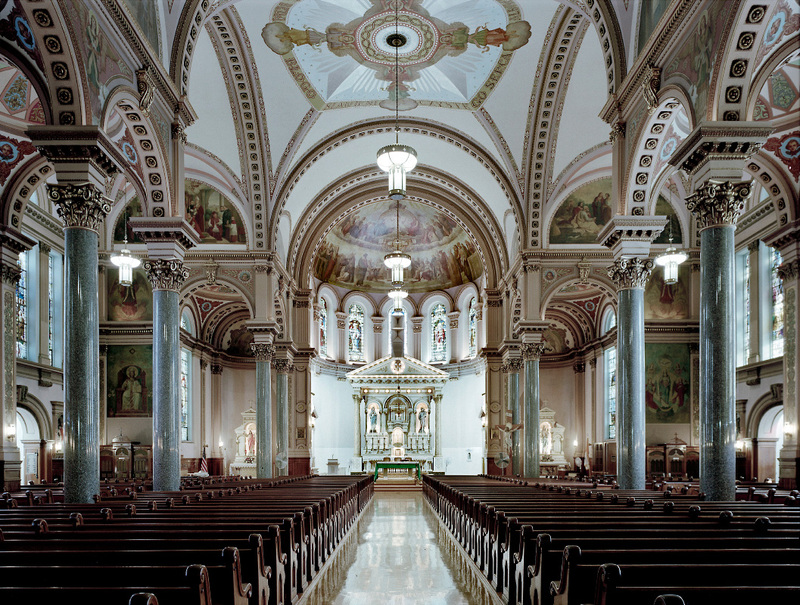 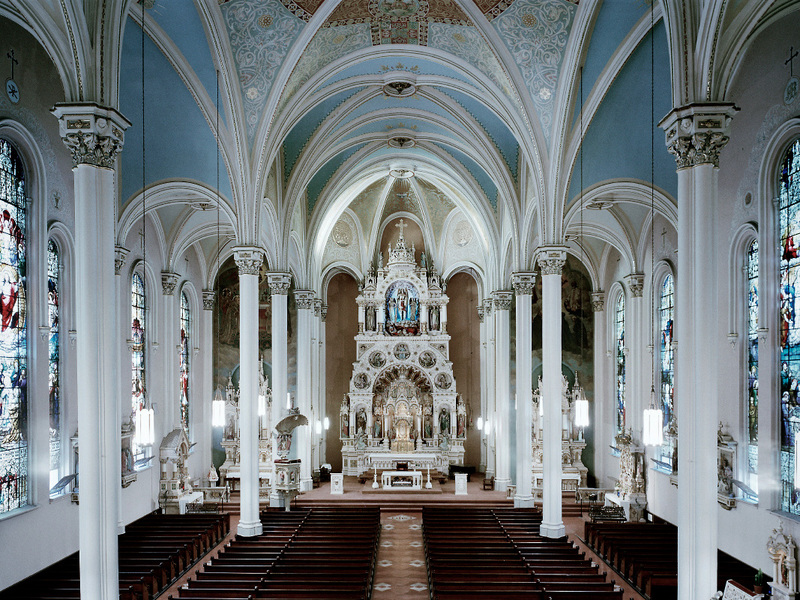 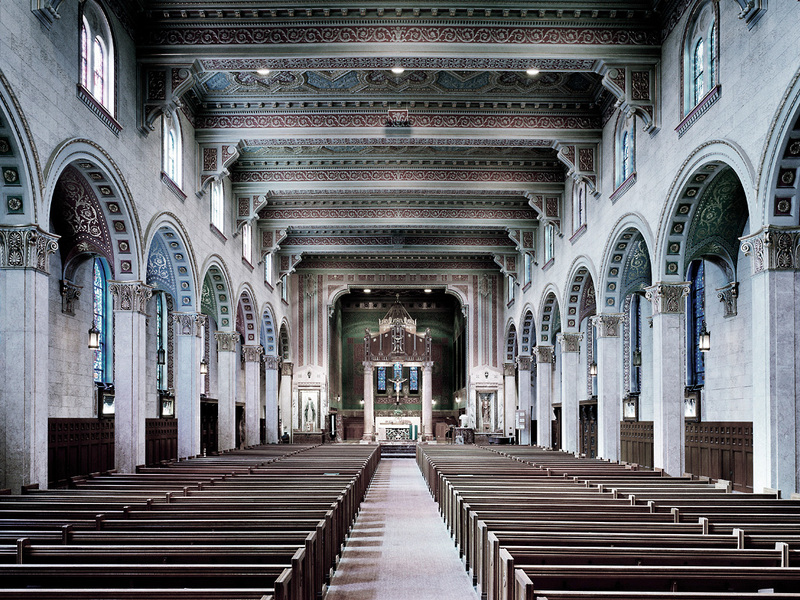 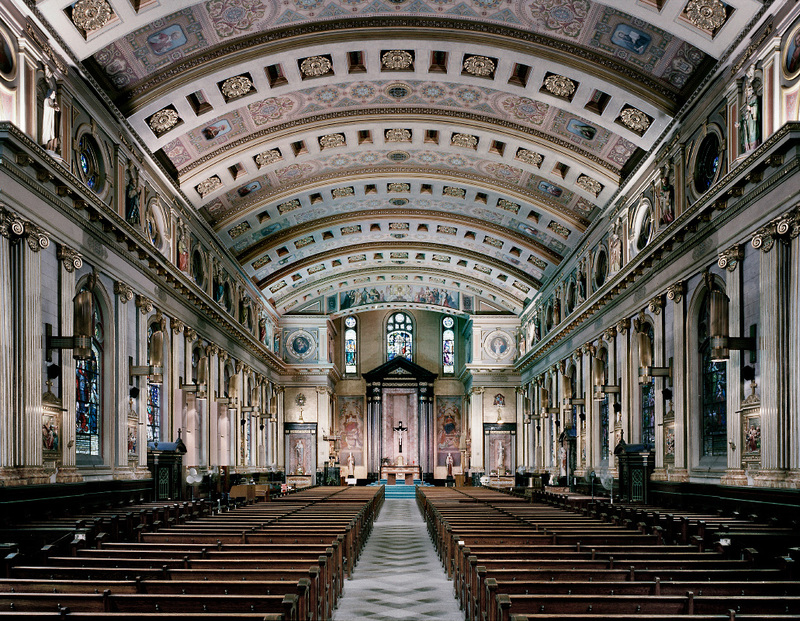 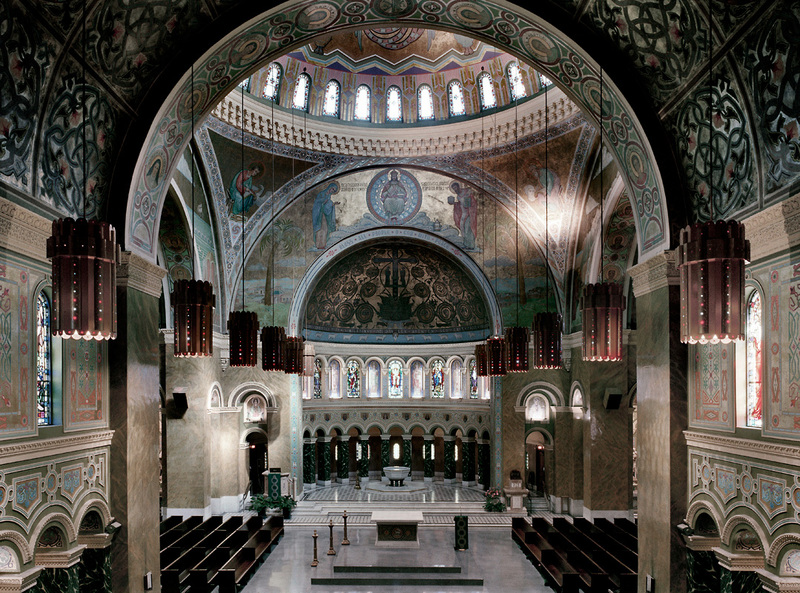 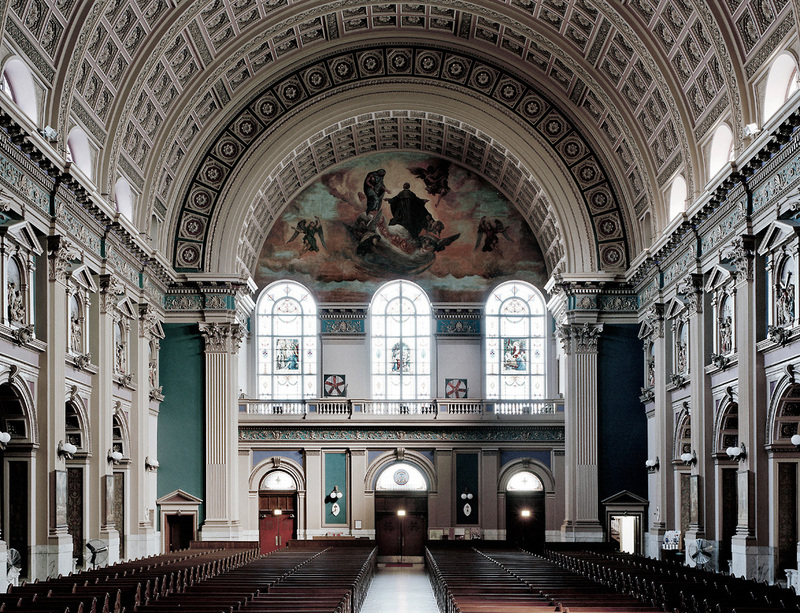 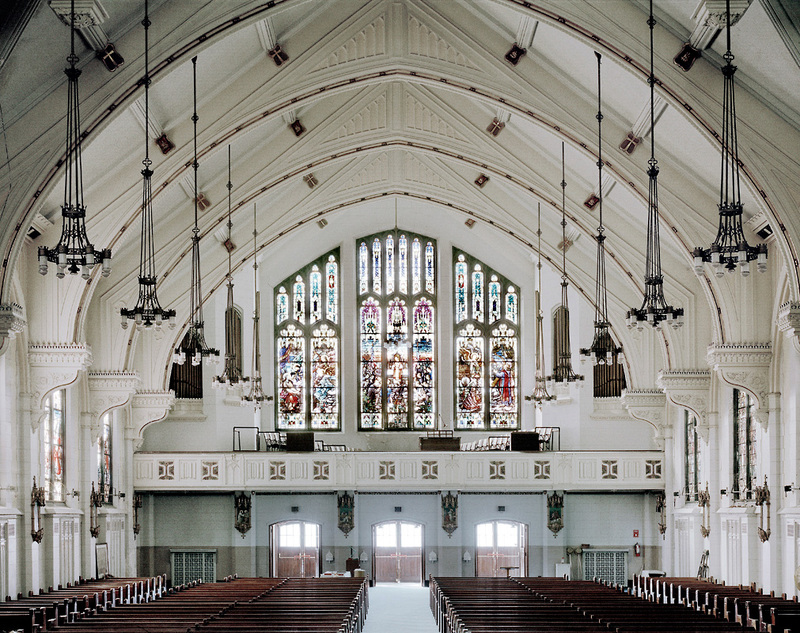 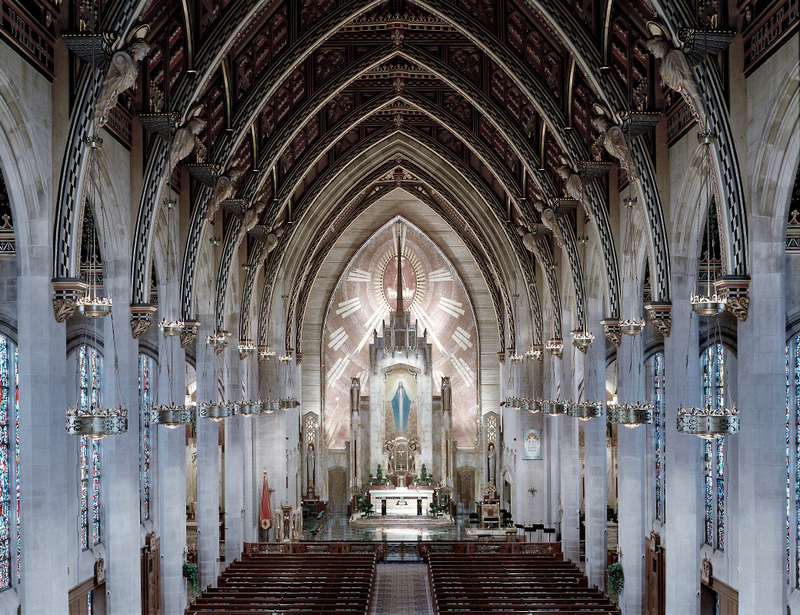 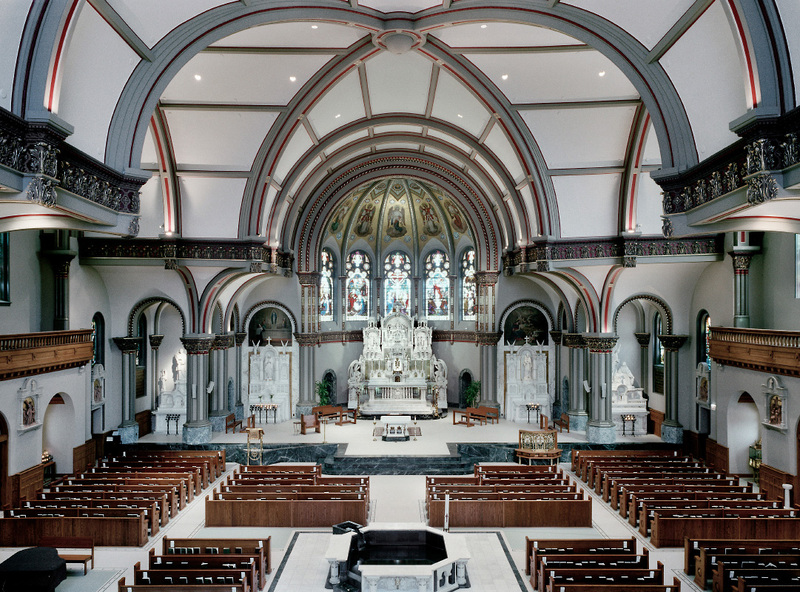 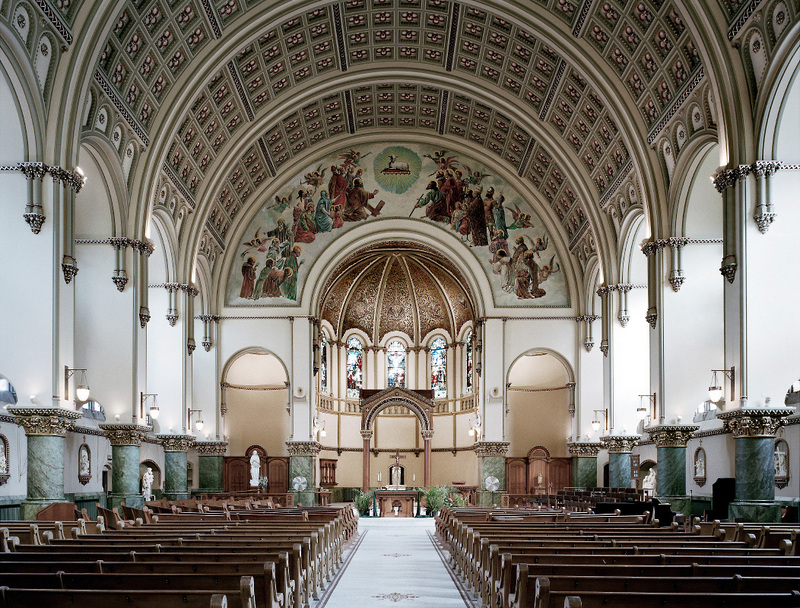 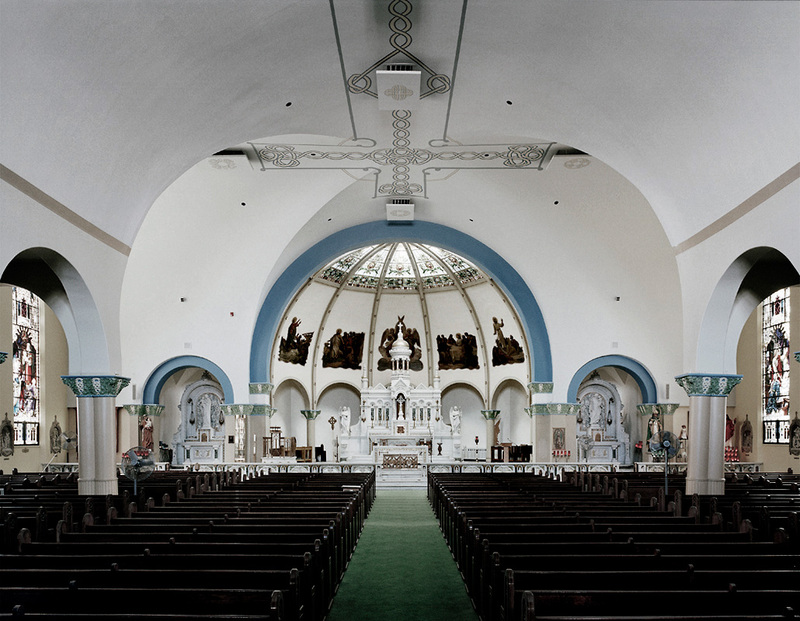 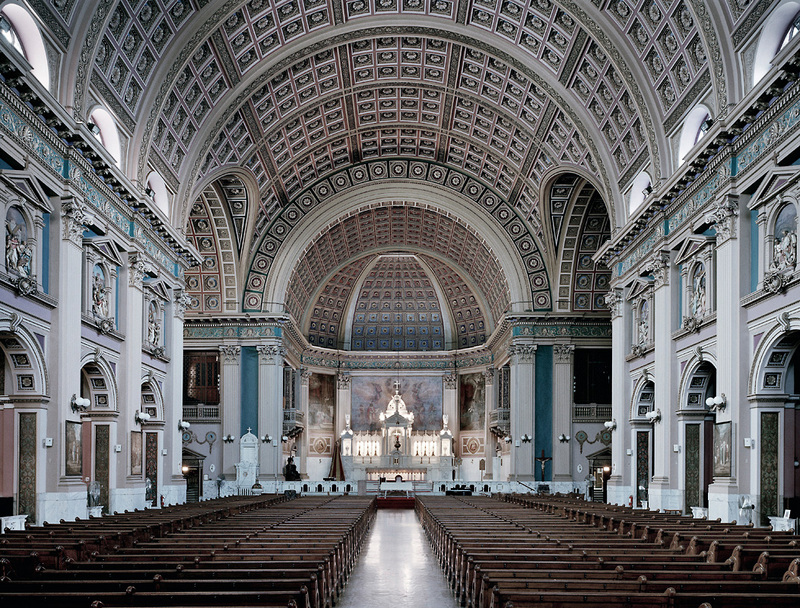 In 2004 the Bricks and Mortar foundation commissioned a series photographs of the Catholic churches of Chicago to illustrate a book and create an archive. 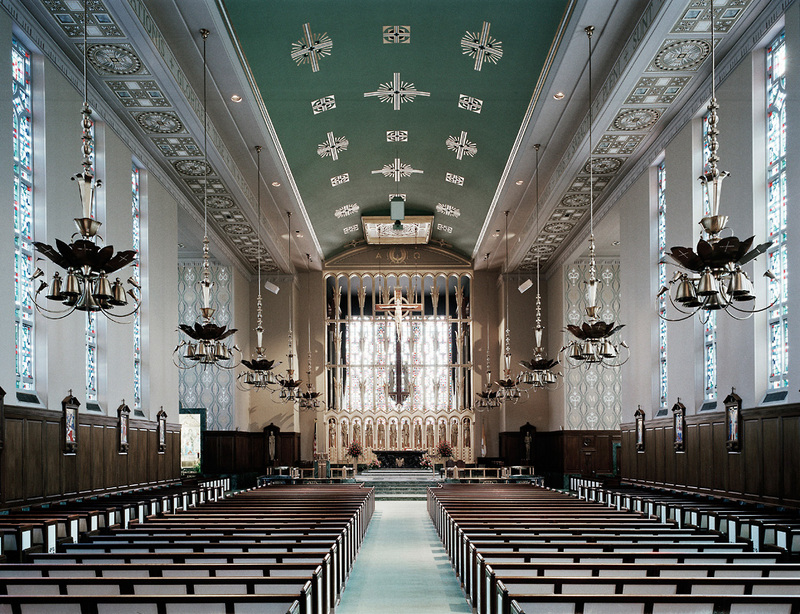 Wanting to emphasis both the continuity and diversity of this body of buildings I envisaged the project as a series of head on images; though the final book differed from this concept. 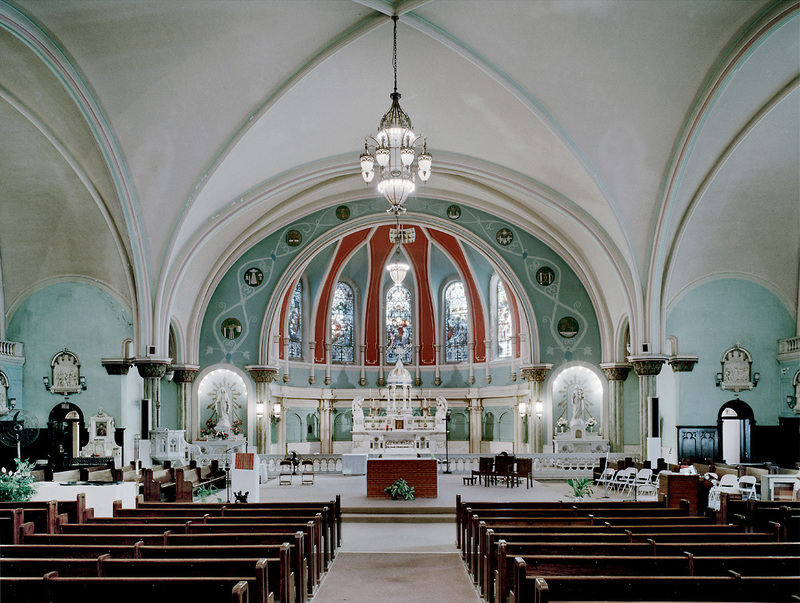 These churches can be regarded not just for their architectural style or chronological development, but more interestingly for the immigrant group that constructed them. 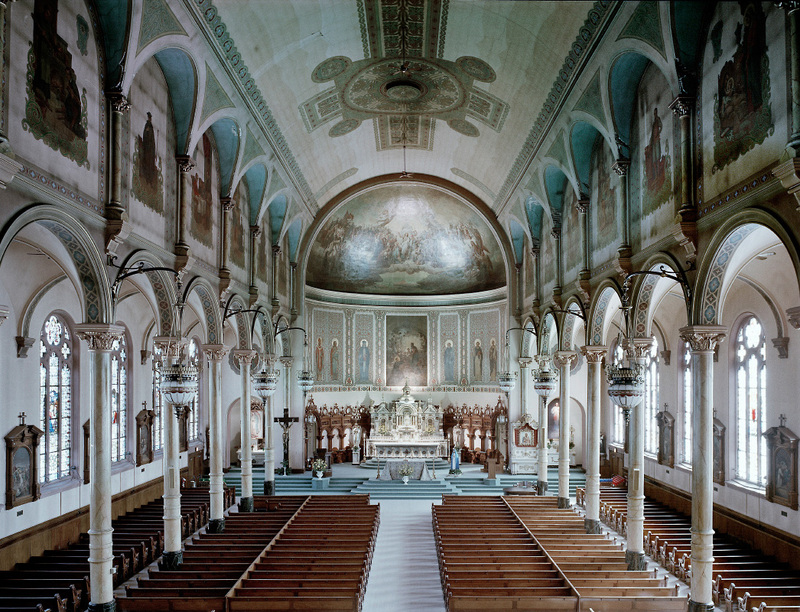 So the distinctions are not so much Romanesque, Gothic, Baroque etc,. 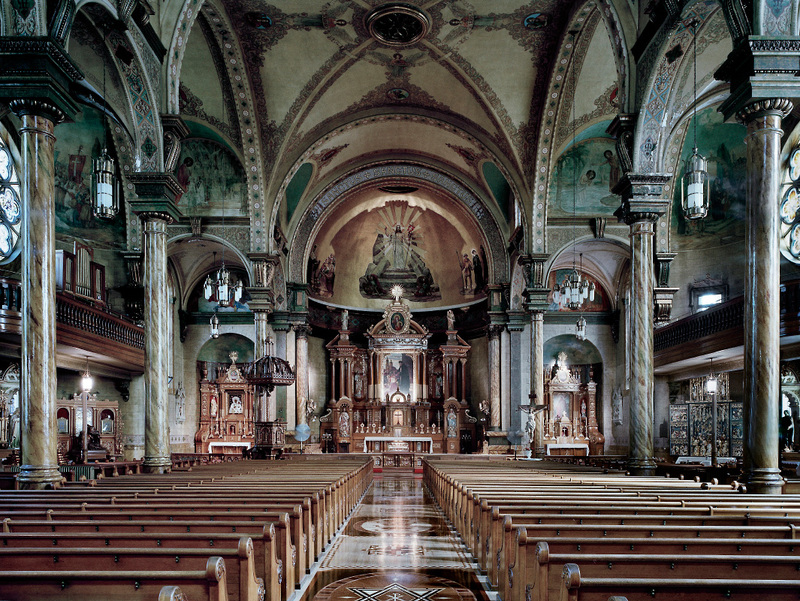 but rather Polish, German, Lithuanian, Ukrainian, Italian, Mexican or Irish; only in Urban America is this possible. 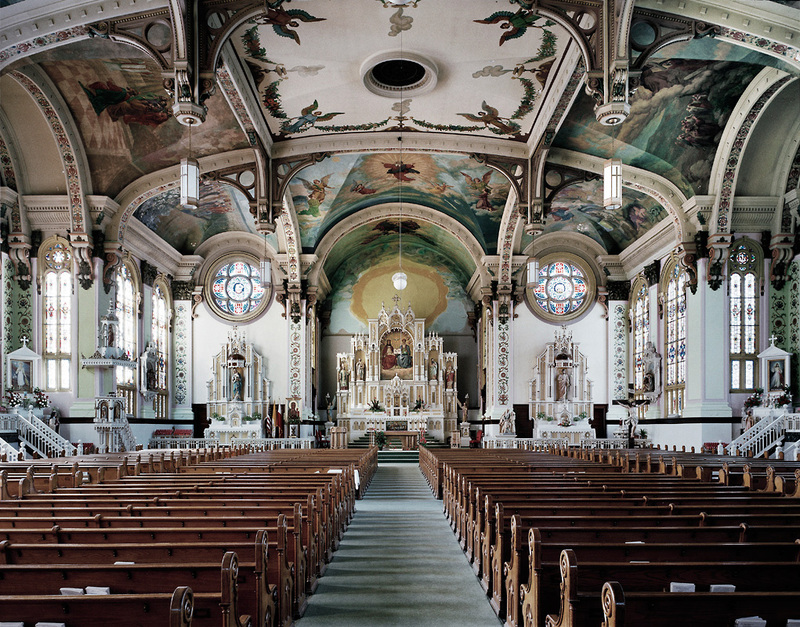 Each group of immigrants, concentrated in their particular suburb, brought something from their past and made powerful statements about their transformed present. 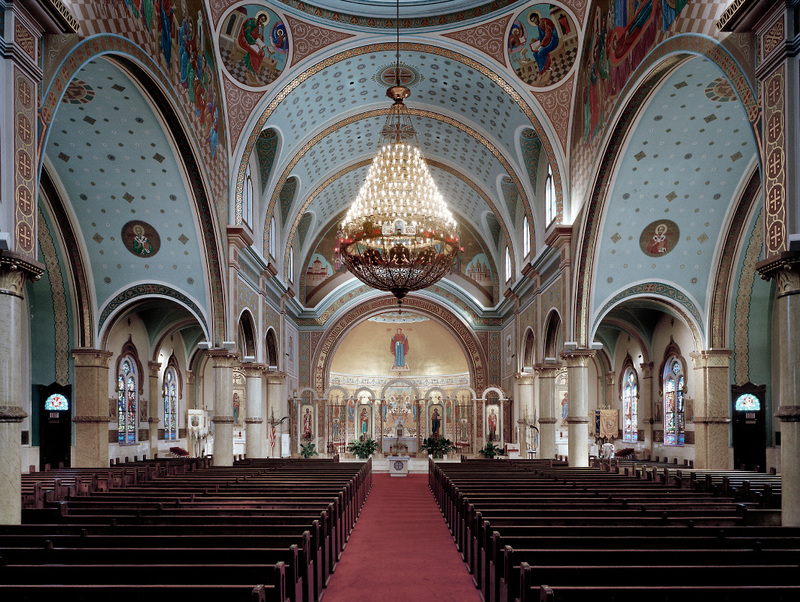 Furthermore, these largely traditional, highly elaborate churches constructed between 1880 and 1940, were built using the latest construction techniques of the day. 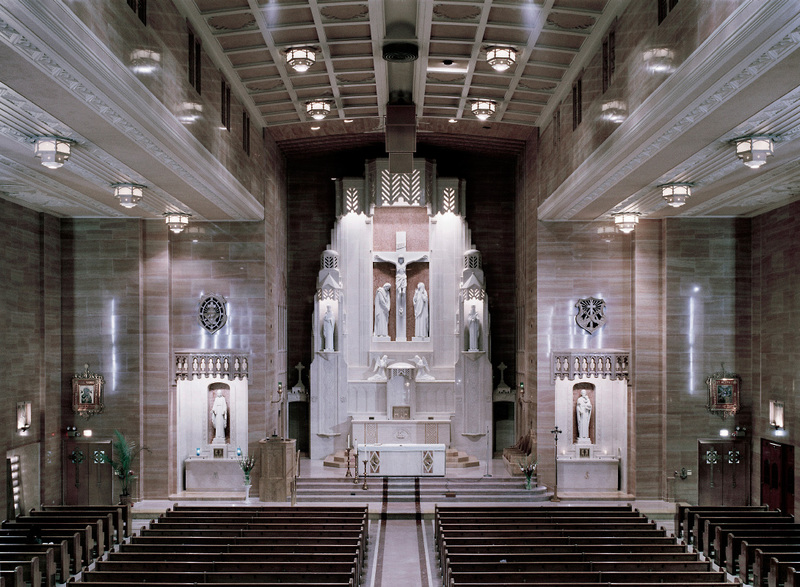 Those seemingly marble columns are likely to be hollow, with metal joists within. 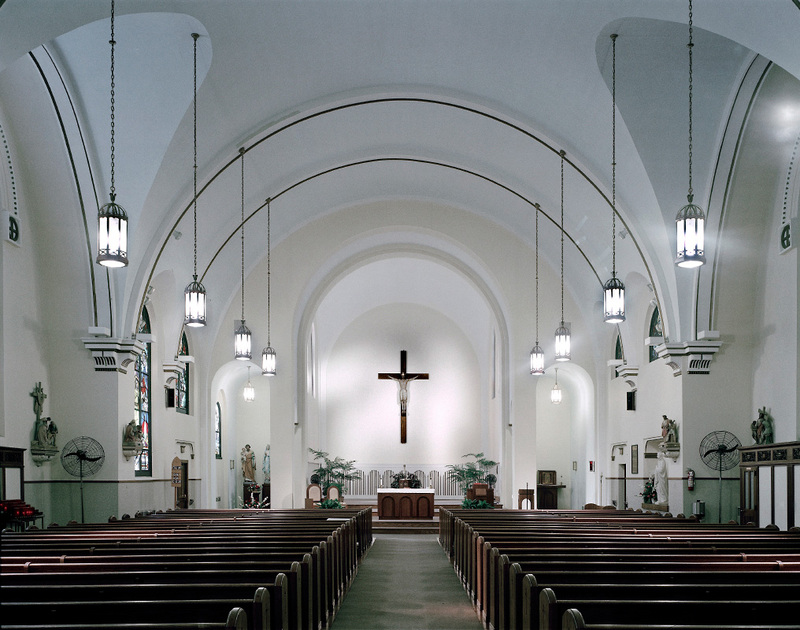 Those Gothic arches are in many instances not structural, but a skin supported by a steel skeleton hidden from view. 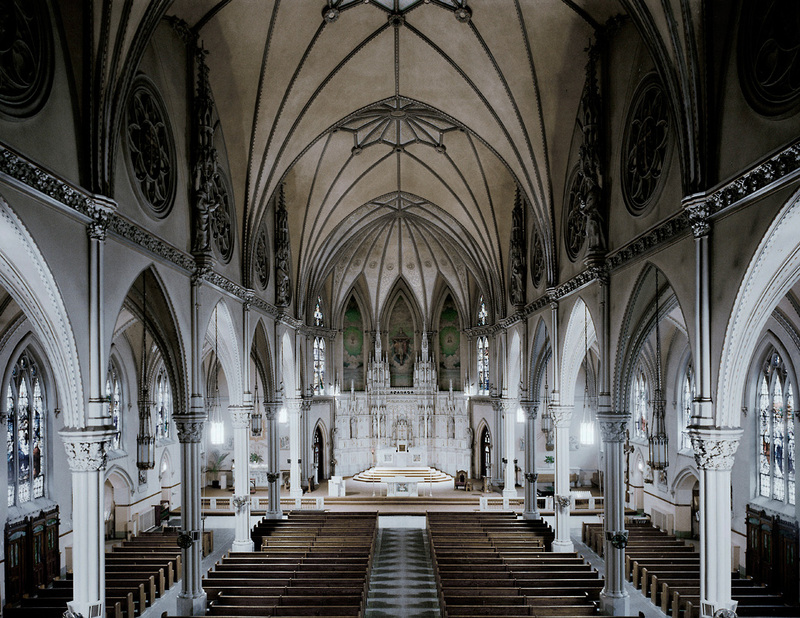 The new magic of electric light was incorporated in some churches to such huge effect that when the church was illuminated the whole neighbourhood dimmed. 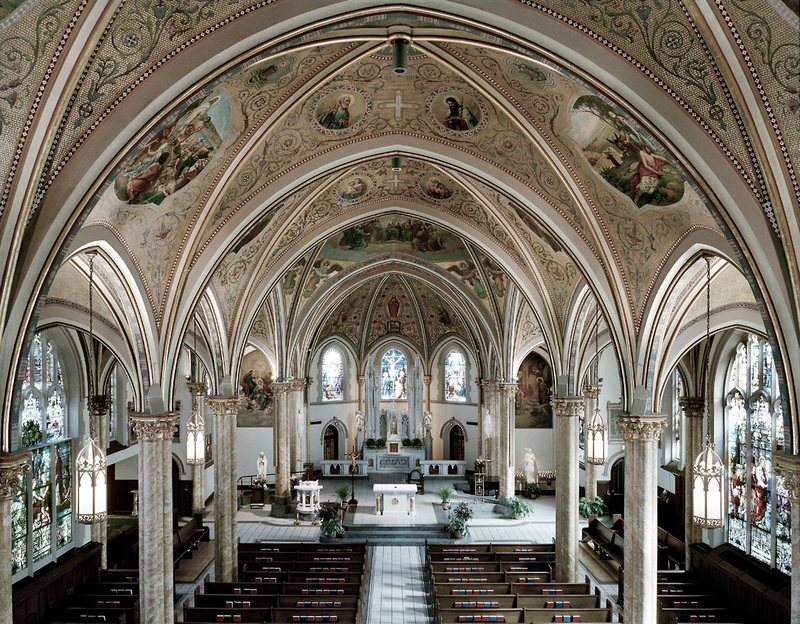 So the building systems developed to make spectacular hotels, theatres, railway stations and cinemas for the burgeoning Chicago economy, worked also for the purpose of grand religious self expression by aspirational new Americans. 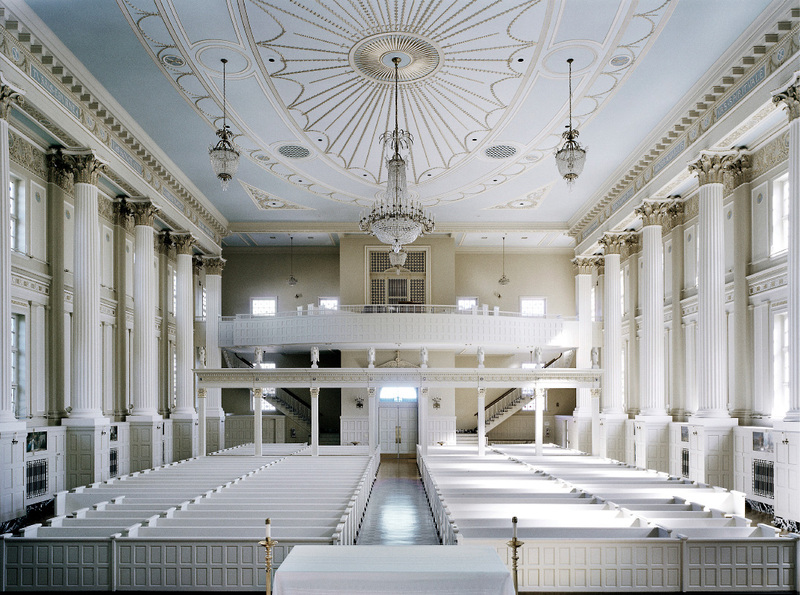 These churches were as much an integral part of the American dream in a country founded on faith, as they were a means to reach out to something altogether higher.